Teaching South African marimbas in Kaustinen schools following a co-operation project with a South African school marimba band, 2018. © Lauri Oino/Finnish Folk Music Institute archive. 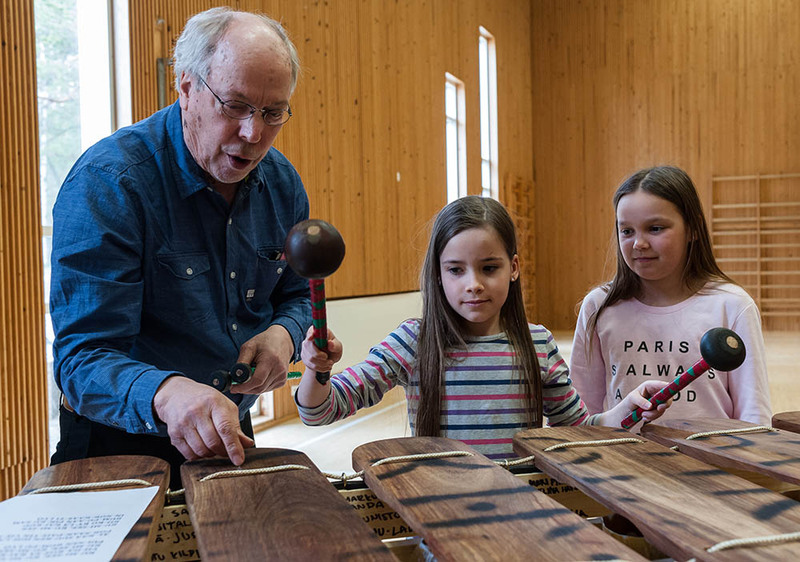 Finnish Folk Music Institute (est. 1974, Kansanmusiikki-instituutti in Finnish) is situated in Kaustinen, a municipality of 4300 inhabitants in Central Osthrobothnia. Our personnel is 4 permanent and 2 project employees. Finnish Folk Music Institute is literally surrounded by Kaustinen fiddling tradition, an exceptionally well preserved and living folk fiddling tradition. Main Safeguarding measures: a) identification, documentation, research (including inventory-making); b) preservation, protection; c) promotion, enhancement; d) transmission, (non-) formal education. 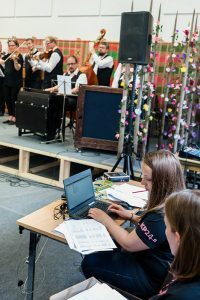 Recording and archiving information on folk music performers in Kaustinen Folk Music Festival, 2016. © Lauri Oino/Finnish Folk Music Institute archive. 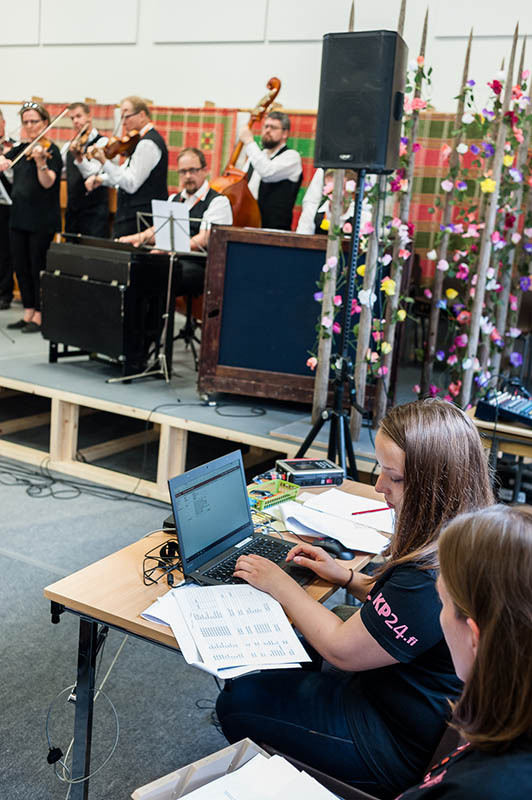 Local, national or international level of the NGO: Our field of activity covers all Finnish folk music. Due to our location we work in firm co-operation with other local NGOs in safeguarding the Kaustinen region fiddling tradition. Internationally we co-operate especially with other Nordic ICH NGOs through shared projects. I am a member of a Dutch choir which sings folk music from all over the world. We want to sing the finnish song “Rati riti ralla”. We have the text in Finnish but I couldn’t find a translation. Can you help us? By the way, we allready sing Kullan ylistys.